Stacy Haiduk, who played Lana Lang on 'Superboy: The Series' from 1988 to 1992, joins us to discuss her time on 'Superboy' as well as her new role on HBO's 'True Blood'! This week "Krazy Joe" & James are joined by a THIRD co-host, Christine! It's a jam packed show, as the Prediction Network looks at the new trailers for 'Man of Steel' and 'Star Trek Into Darkness'. 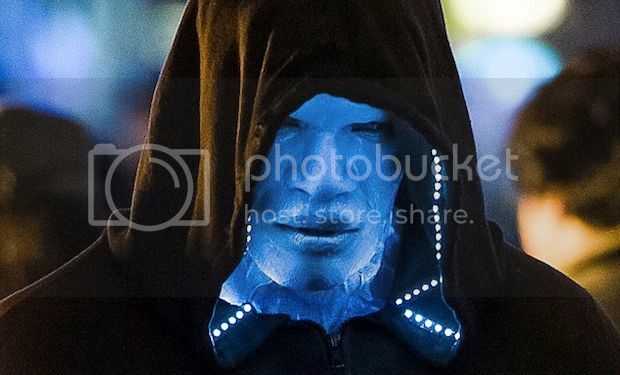 We also discuss the newly revealed makeup that Jamie Foxx will be wearing as Electro in 'Amazing Spider-Man 2'. More High Fives than you can swipe a lightsaber at! This week we HIGH FIVE the new seasons of 'Game of Thrones', 'Doctow Who', & SyFy's 'Defiance'. We also discuss a recent PBS Wonder Woman Documentary as well as recent TV comedy involving 'Star Wars'. And James tells us all about the new video game, 'Injustice'. Only a brief DAMAGE REPORT this week: Fox goes after fans for selling un-licenced Firefly/Jane Cobb hats!